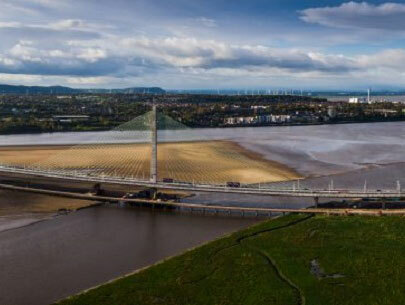 The Mersey Gateway Project a six-lane cable-stayed bridge with 3 pylons over the River Mersey between the towns of Runcorn and Widnes. 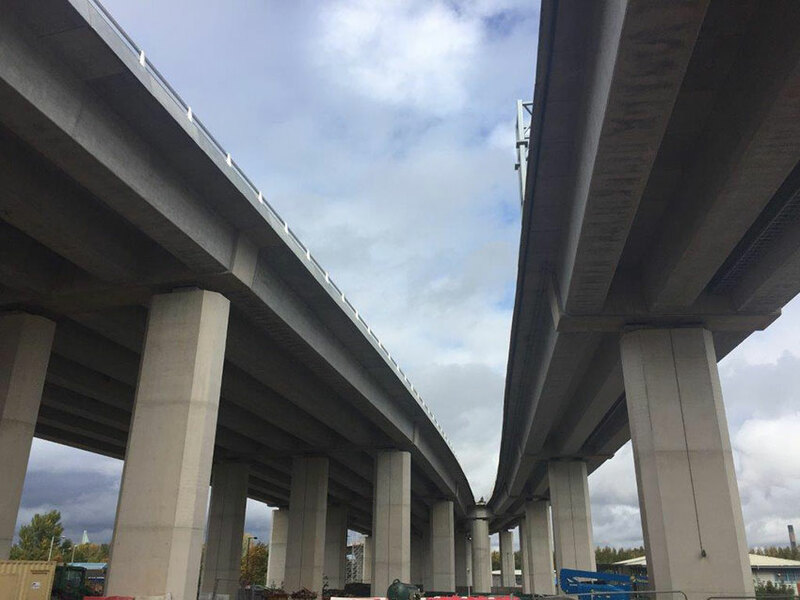 The bridge being 2.3km long with a river span of 1 km, which opened in October 2017. 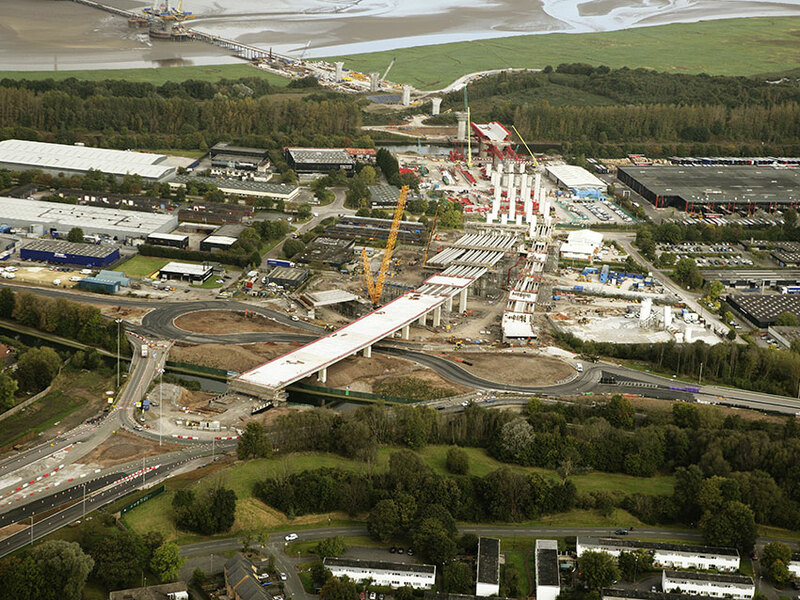 The Project Company was the Merseylink consortium. 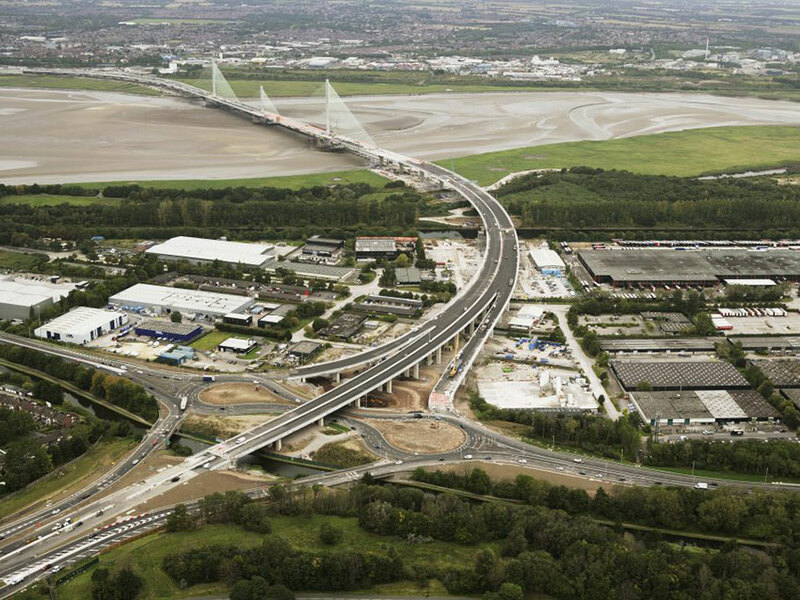 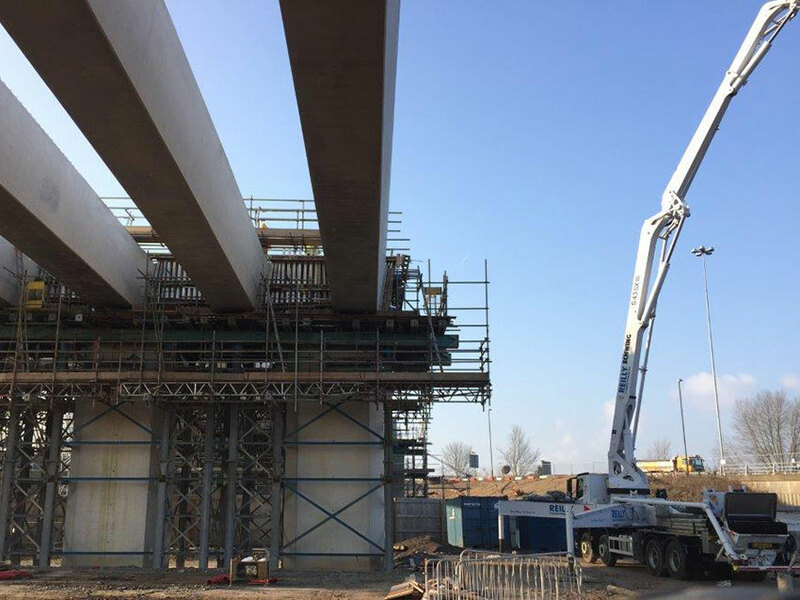 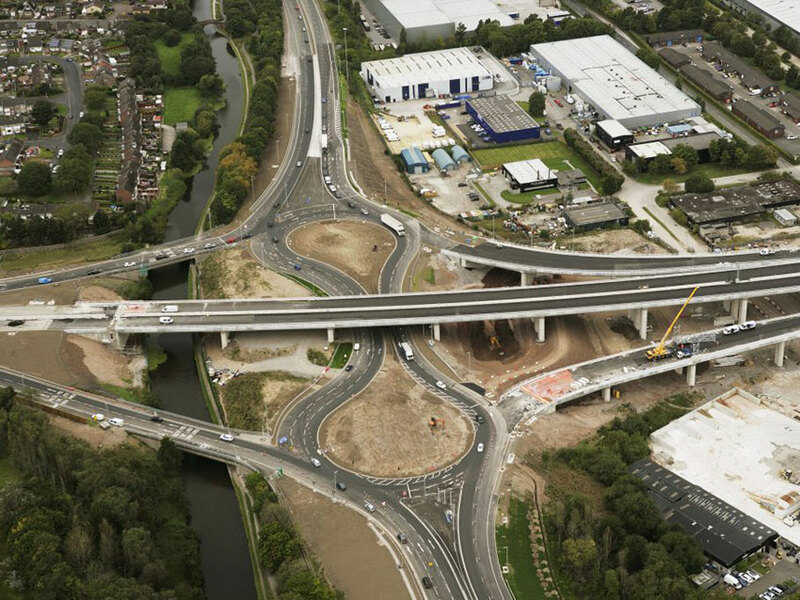 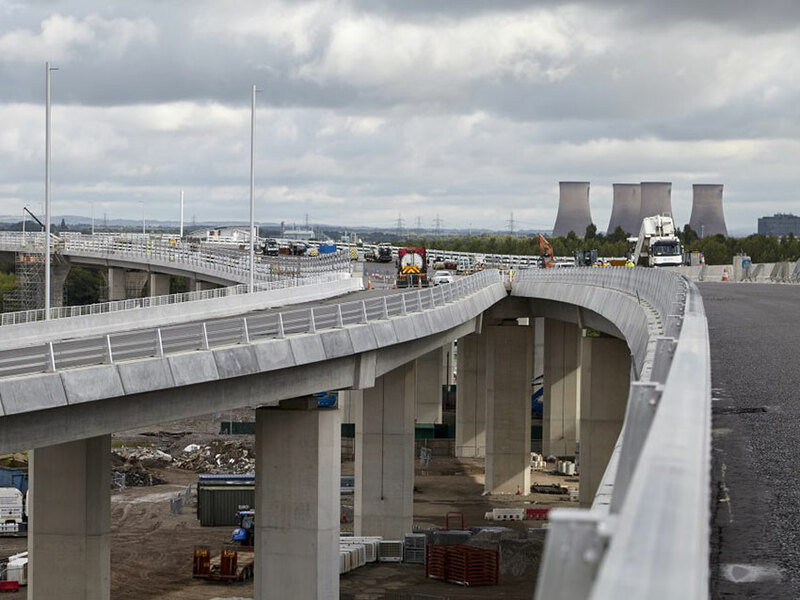 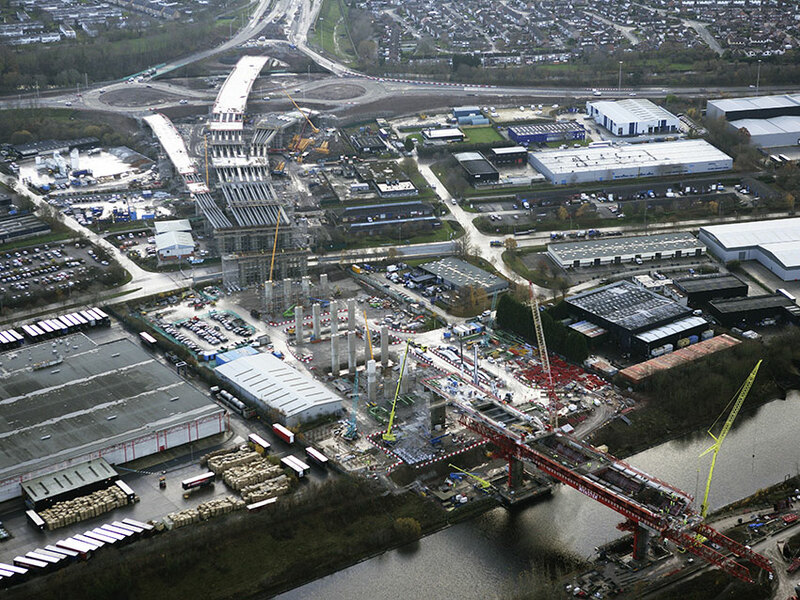 The contractors Merseylink Civil Contractors Joint Venture comprising Kier Infrastructure and Overseas Ltd, Samsung C & T Corporation and FCC Construccion S.A.
Constructing 32 no. 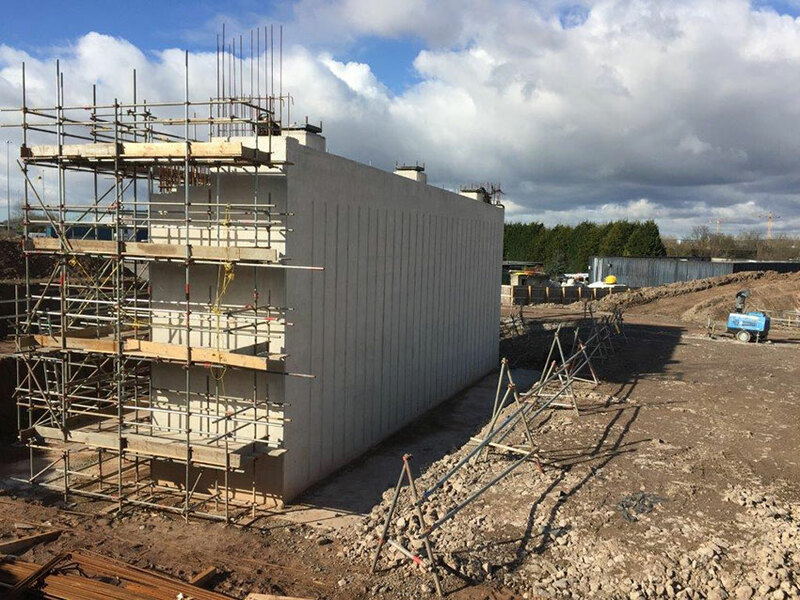 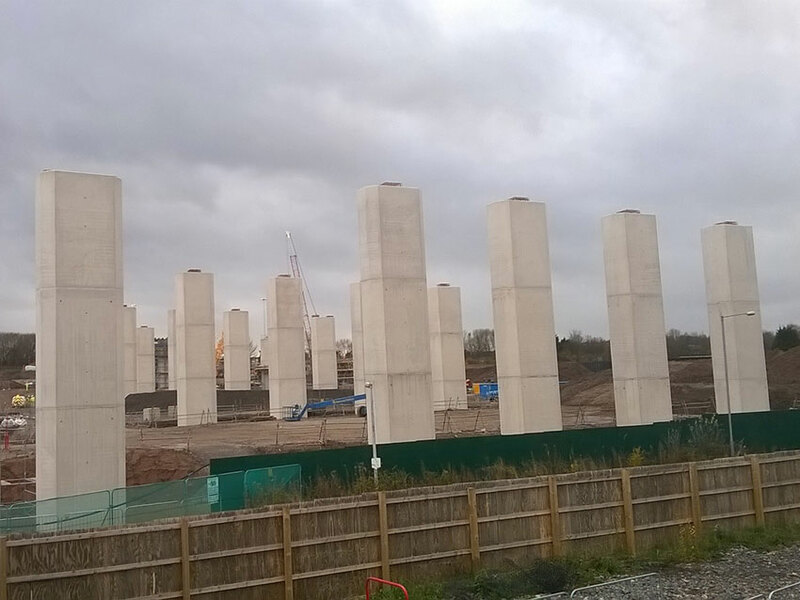 pile caps, each taking approximately 150m3 of concrete in each. 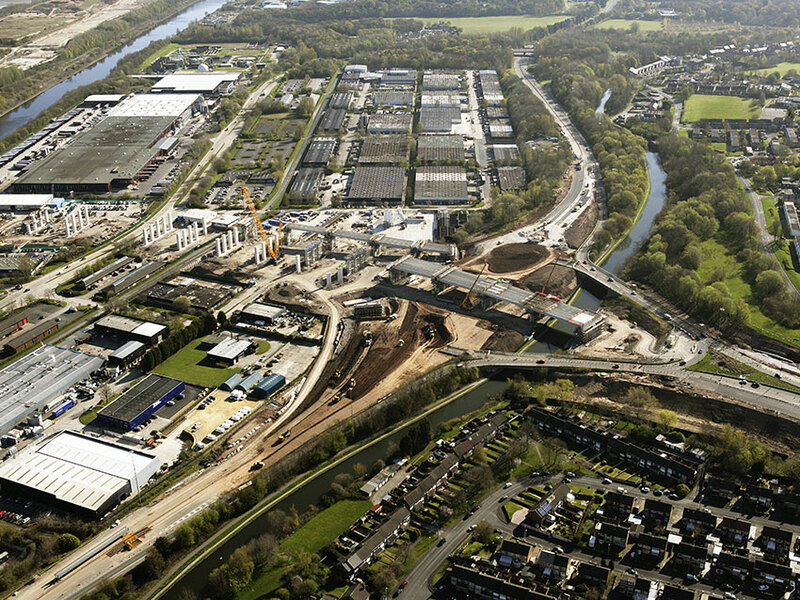 The construction of 69 no. 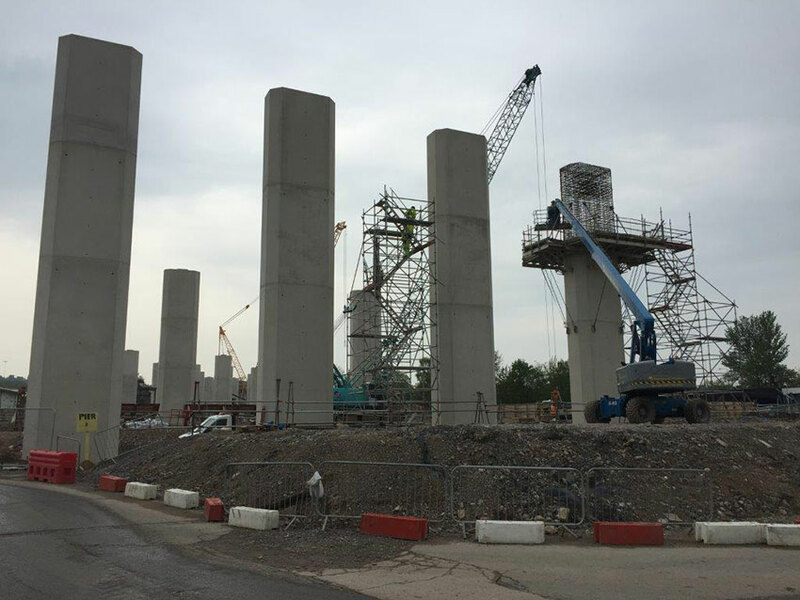 piers consisting of 188 concrete lifts. 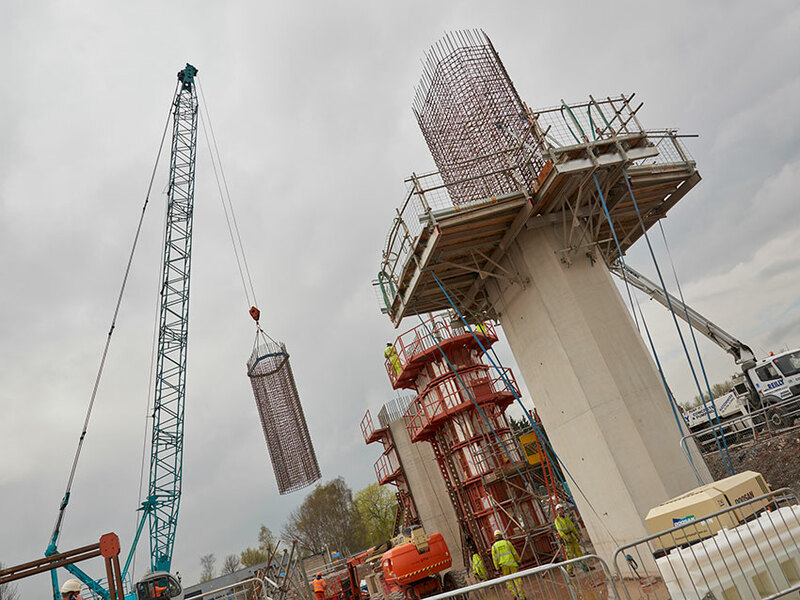 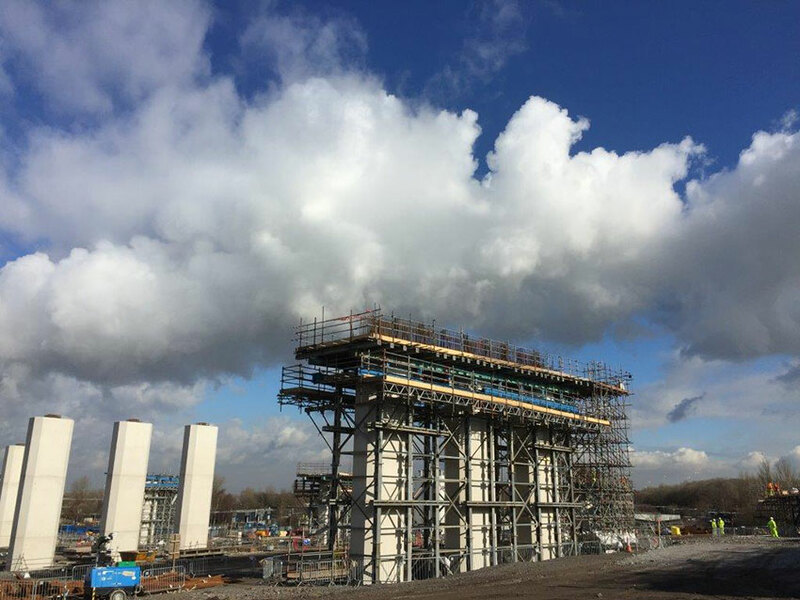 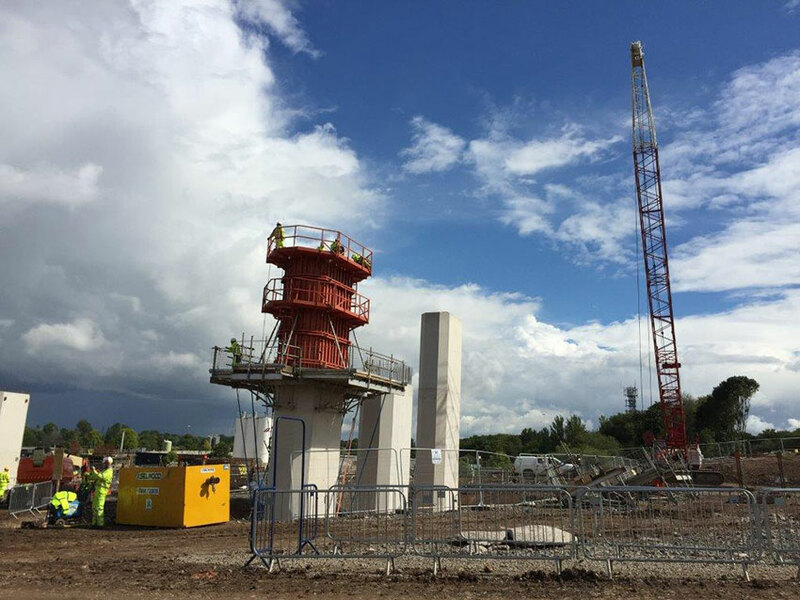 Following the casting of the piers to full height the installation of a Temporary propping system. 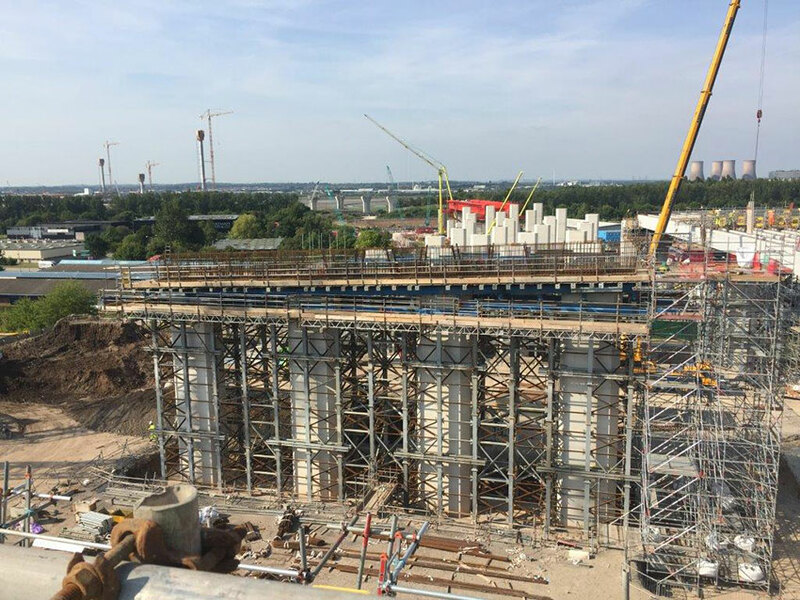 The construction of 28 no. 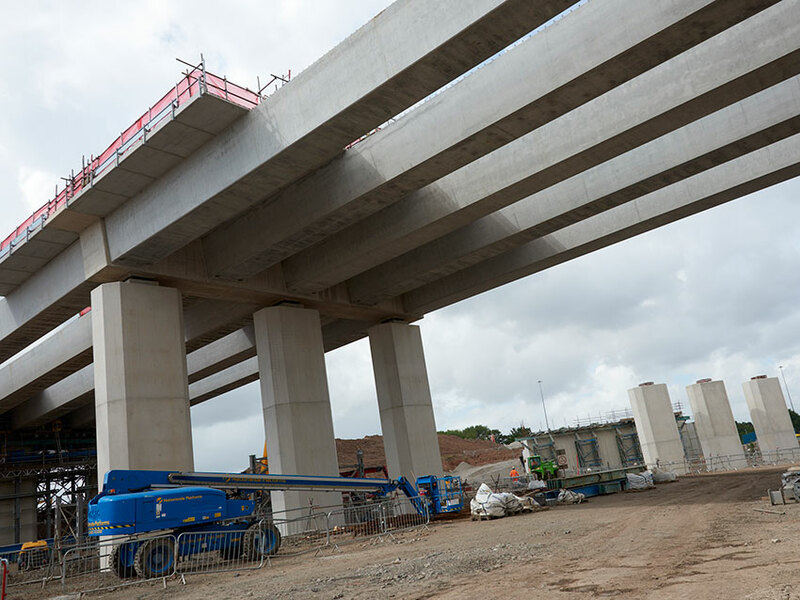 diaphragm beams to tie together the main bridge span precast concrete beams. 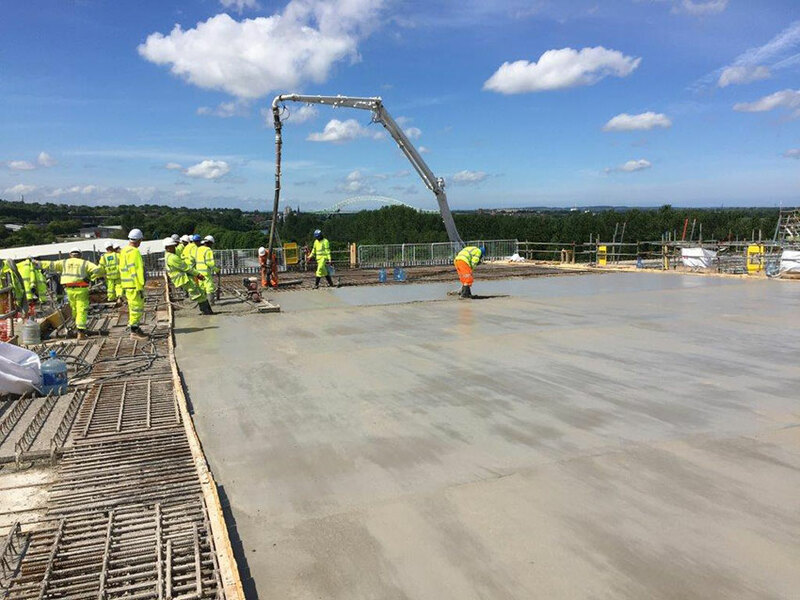 The casting of the main deck areas on the approach. 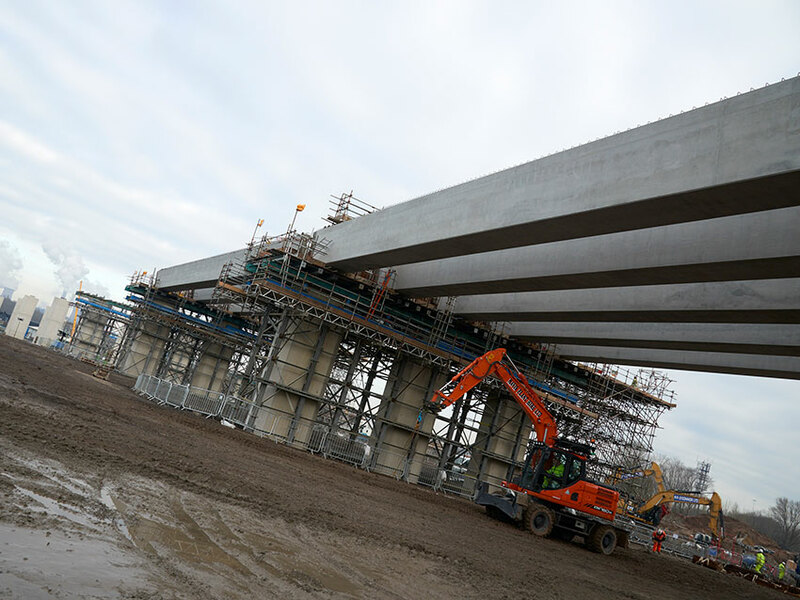 For the main slip and the on /off slips Sword constructed 3 no. 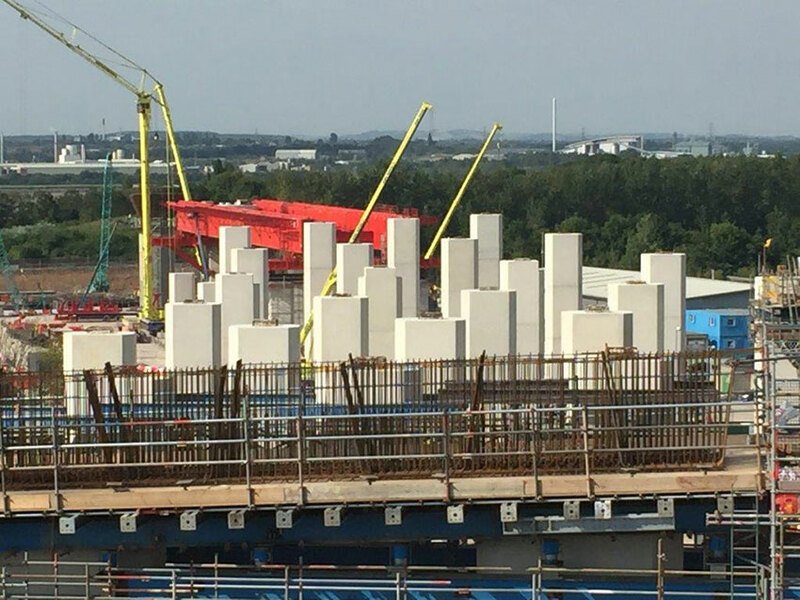 main abutment walls with approx. 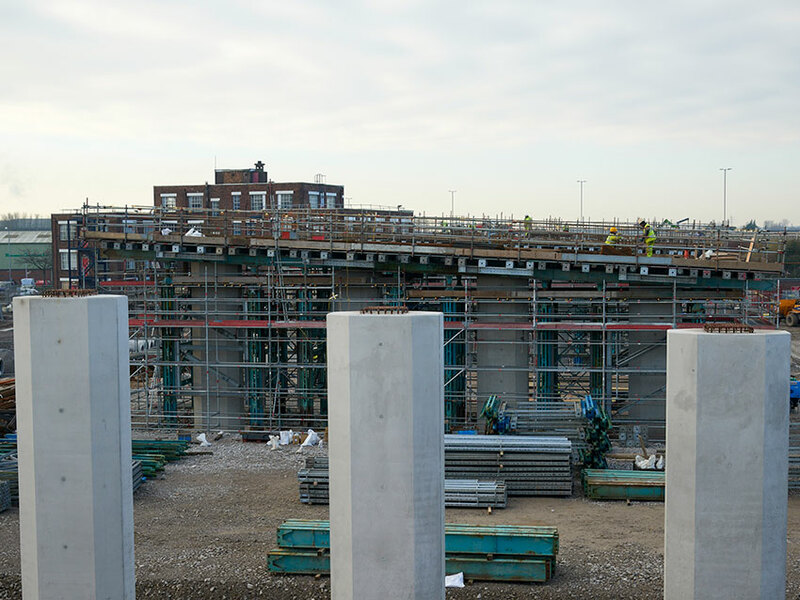 550m3 cubic metres of concrete in each. 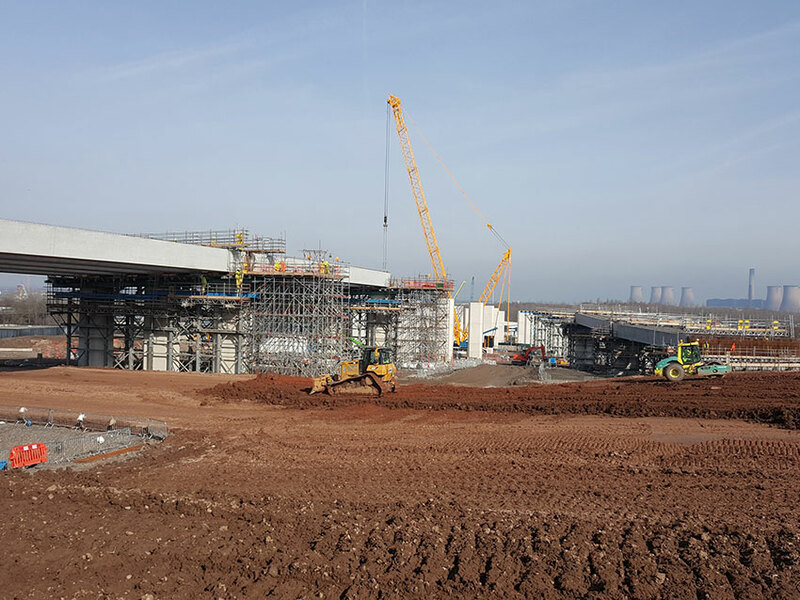 In addition Sword supplied and co-ordinated use of 50t Crawler Cranes, 55t -90t Mobile Cranes, a 6 axle self-erecting Tower Crane and Concrete Pumps ranging from 24mtr up to 52mtr.